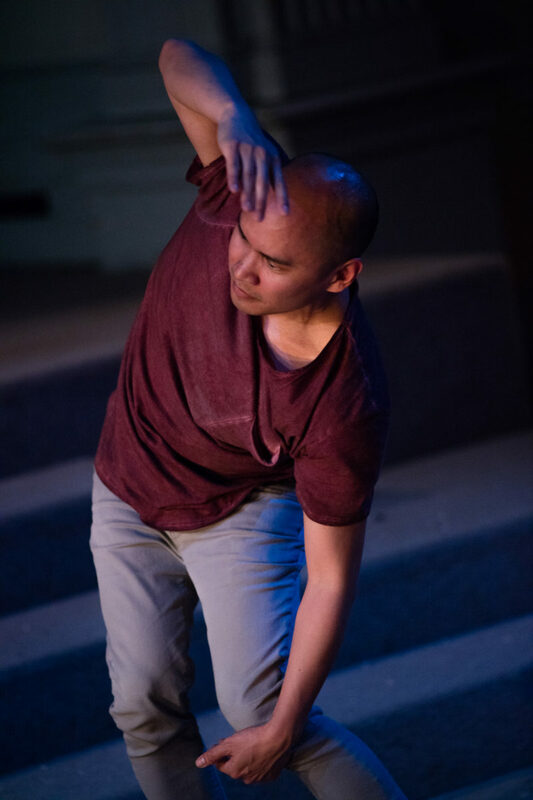 Justin Cabrillos is a choreographer, artist, and writer based in Brooklyn. He was a 2016 danceWEB scholar at ImPulsTanz in Vienna under the mentorship of Tino Sehgal, a recipient of a 2011 Greenhouse grant from the Chicago Dancemaker's Forum, a 2011 LinkUP Artist in Residence (Chicago), an artist-in-residence at Chez Bushwick, and a 2008 fellow at Ox-Bow School of Art. His latest solo Holdings was commissioned by Danspace Project and his work has also been commissioned by the IN>TIME Series in Chicago. Cabrillos has shown work at the Leopold Museum (Vienna), the Cultural Center of Chicago, the Museum of Contemporary Art Chicago, Aunts, and Roulette. He holds an MFA from the School of the Art Institute of Chicago and he has performed with Every house has a door, Marissa Perel, and Jen Rosenblit. He is currently dancing with Julian Barnett and Jocelyn Tobias.